President Donald Trump will meet with North Korean leader Kim Jong Un in late February for another summit focused on denuclearization, White House press secretary Sarah Huckabee Sanders announced Friday. “President Donald J. Trump met with Kim Yong Chol for an hour-and-a-half, to discuss denuclearization and a second summit, which will take place near the end of February. The President looks forward to meeting with Chairman Kim at a place to be announced at a later date,” Sanders said. The announcement follows a meeting in the Oval Office between Trump and Kim Yong Chol, who is the lead negotiator with the U.S. over the North Korean nuclear program, after the extraordinary first summit in June 2018 between Trump and Kim Jong Un in Singapore. The White House did not specify where the summit would take place, though Trump has stated in the past that he would consider inviting Kim Jong Un to the White House for a second summit. The seven months since Trump and Kim Jong Un’s summit, however, have seen talks fizzle between the U.S. and North Korea, with limited progress or agreements toward concrete denuclearization. 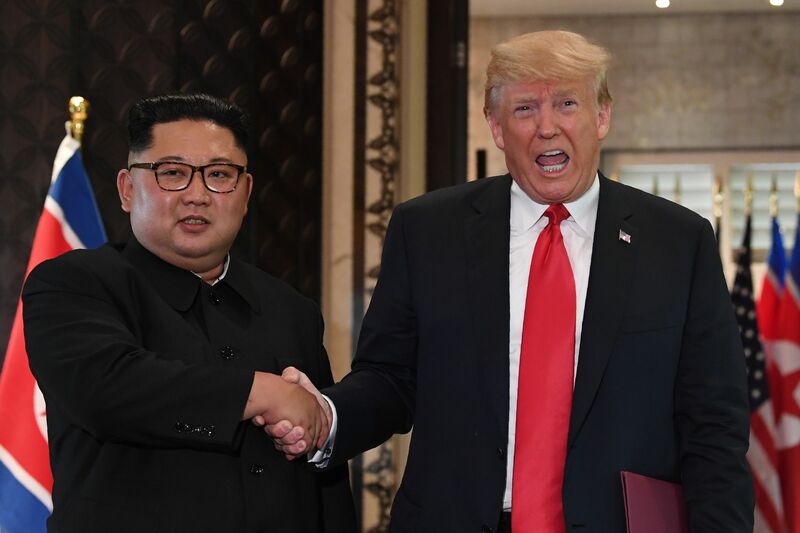 Trump has hailed the results of the summit, but analysis shows that North Korea has not stopped nuclear production and has taken no steps toward destroying its nuclear arsenal. Trump and Kim Jong Un have exchanged a series of private letters and Pompeo has made several trips to North Korea since the summit, though no landmark breakthrough has occurred. Tensions between the U.S. and North Korea prior to the summit appeared to reach an apex with the rogue state launching missiles into the surrounding oceans, and proving a likely ability to strike the U.S. homeland.